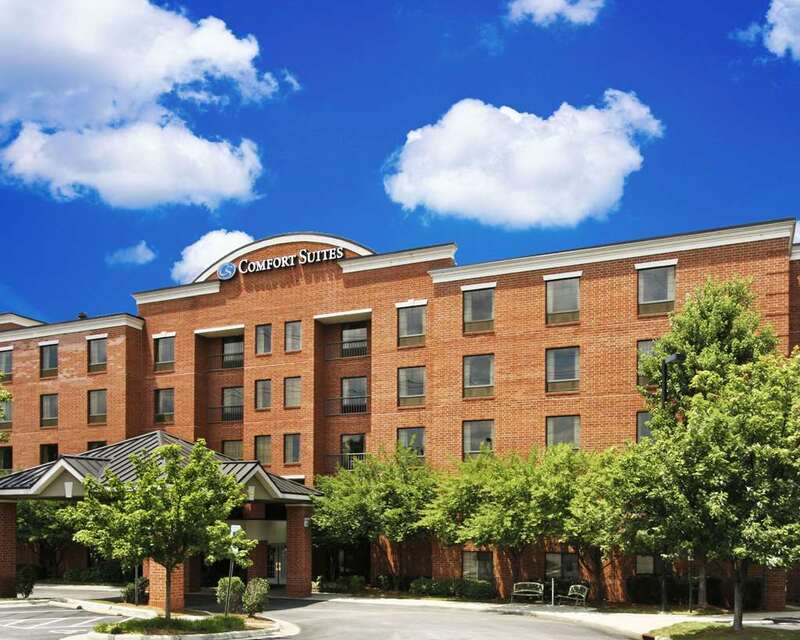 The Comfort Suites Regency Park hotel in Cary, NC near WakeMed Cary Hospital offers guests the extra space you need with the extras you want. This pet-friendly, smoke-free hotel is located near destinations like Downtown Raleigh, Koka Booth Amphitheater, Raleigh Convention Center, J.S. Dorton Arena and Jordan Lake. McGregor Village and Regency Park are also close. Enjoy free WiFi, free hot breakfast, fitness center, indoor heated pool and a Manager's reception Tuesday-Thursday. Rooms include a flat-screen TV, refrigerator, microwave, hair dryer, recharge device, iron and ironing board. Also, earn rewards including free nights and gift cards with our Choice Privileges Rewards program. Ray Price Drag Racing Mus.